Day 10 of the Heapnose perfume diary. 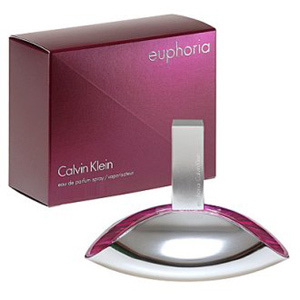 Today I wore Euphoria by Calvin Klein. Today was a tough day to be testing a new fragrance. I’d been asked to help out with the sound on a location shoot in which a reptile expert built a new habitat for slow worms. I don’t know much about location sound – I know even less about location reptiles. I figure red or yellow are bad, green are good, and anything in the middle should be poked with a boom to determine amiability. Such reptilian acumen proved itself to be invaluable in the field when i accurately identified a passing toad as being of dubious morals. The fragrance testing, however was somewhat more complicated. Cold location shoots in South Wales do not provide the optimum conditions necessary for a Heapnose perfume diary entry. Swaddled beneath layers of waterproof gear, overwhelmed by the scent of “outdoors” and “the environment” poor little Calvin didn’t stand much of a chance. My co-workers were underwhelmed “You smell like pond water” seemed to be the most popular reaction, with “barnyard animal” being a close runner up. Outdoors 10, Calvin Klein 0. Surprisingly I agree. It’s fine, it’s just not balls-against-the-wall awesome. Kind of underwhelming. I’ll give it a nine for longevity and a five for effortless elegance. As for the can i pronounce its name without sounding like a knobhead? I’m reminded here of a conversation between Pat Heap and a male cousin, in which the former was extolling the virtues of a Bijon Frise as a suitable pet. The cousin remarked that whilst he was certain that the canine would prove to be an adequate companion, he didn’t relish the prospect of telling people down the pub that he was the proud owner of a Bijon Frise. Similarly, I just don’t want to tell people down the pub that I’m wearing Calvin Klein. So can i pronounce its name without sounding like a knobhead? No, I don’t really think that I can. You also can’t say Calvin Klein without whispering it, which adds to the knobhead effect…. Also, who are these ‘people down the pub’?! People down the pub is you…and your dad I guess. And that fella behind the bar. Speaking of which, when are we going down the pub? I think I will have shaken this hangover by Tuesday or Wednesday.